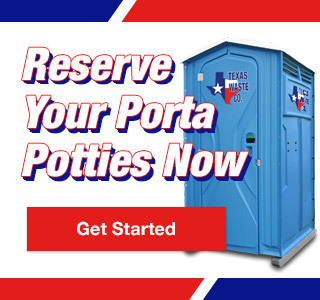 Rodeo Porta Potty Rental | Texas Waste Co.
Texas is know for its outstanding rodeos and livestock shows that draw folks from all over to join in the fun. 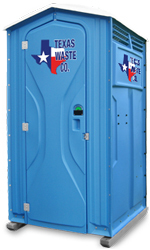 Make sure your event is prepared for the family friendly and fan filled crowd with Texas Waste Co. rodeo porta potty rentals. Restroom trailers are the perfect solution for high-volume crowds to eliminate long lines and unsatisfied ticket-holders. To combat the spread of germs, especially those conjured at petting zoos, our standard hand washing stations feature sealed water tanks, full fingertip to elbow washing and are operated using a hands-free foot pump. We’ve got sanitary facilities to meet even the largest and most diverse of crowds, including ADA compliant toilets for ease of access. With same-day delivery and fast cleaning service between shows, you’ll be guaranteed to meet the needs of any size crowd. Call and speak with one of our sanitation consultants today to find out how many rodeo porta potty rentals your event is likely to require and we’ll see to it that your sanitation expectations are exceeded.